Our adult education services reach non-traditional students seeking to make a positive difference in their lives. Recognized as one of the Adult Education Centers in Michigan with the highest retention and test scores, our classes include teacher-led sessions with emphasis on reading, writing, listening, and speaking. Classes are held from Monday – Thursday from 10:00 AM – 1:00 PM and 5:00 – 8:00 PM. Additionally, we offer specialized case management services for students, especially recent immigrants, to help them better adjust to life in Michigan. 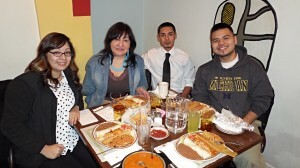 Funding for this program is provided by the State of Michigan and National Council of La Raza. Students train for the GED examination by learning high school-level principles of mathematics, reading, and writing. Classes are held Monday – Thursday from 10:00 AM – 2:00 PM. Funding and the instructor for this program are provided by Wayne State University, as well as DHDC’s business partners. Counselors certified by the U.S. Department of Housing and Urban Development Department provide housing-related group workshops, one-on-one counseling, and referrals to outside agencies. Many Latino families in our community do not seek traditional financing for purchasing homes, and there is a great need for housing counseling within Detroit due to economic downturn, stricter lending guidelines, failing financial institutions, and weakening federal housing programs. All services provided in Youth Services abide by principles founded in the field of Youth Development, which ensure that all youth receive quality help from our Youth Specialists. Our Youth Services are recognized as some of the best in the city of Detroit. 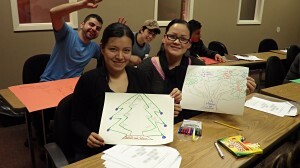 Most youth (11-19 years) in our Youth Services begin at DHDC through our after-school Urban Arts Academy. This hands-on prevention program uses principles from youth development and entrepreneurship to attract up to 100 Southwest Detroit youth. We engage youth through their own for-profit ventures such as: silk-screening, t-shirt production, graffiti art, music and video production. Youth create art through this interactive program incorporating music and video to tell their stories. Funding for this program is provided by the Skillman Foundation. The Summer Youth Program engages youth (ages 11-18 years) through projects in life skills, arts and crafts, recreation, field trips, community service projects, and a week-long camping trip. Older youth (ages 14-18 years) are eligible to apply to gain work experience and training at employers throughout Detroit while earning a stipend. Funding for this program is provided by DTE Energy’s City Connect Program. Graduating high school seniors and college students are eligible to apply for this prestigious scholarship program for post-secondary education. DHDC limits the eligibility of this scholarship to youth who have participated in DHDC programs for one year. Scholarships may include up to $3,000, a school-ready laptop, and a corporate mentorship, depending upon the specific scholarship type. Funding for this program is provided by various DHDC business partners, including but not limited to: General Motors Supplier Diversity, DTE Energy, The Ideal Group, Ideal Shield & Suppliers, and Aisin World Corp. of America. DHDC is home to the Robotics & Engineering Center of Detroit or RECD for short. The RECD is a year-round Robotics Program for youth from 4th-12th grade. Participants work with engineers and STEM professionals to use engineering and robotics in a creative way to solve social issue while developing college and job readiness skills. The RECD is also the largest First Robotics Build Site in the city of Detroit. Hosting anywhere from 9-11 high school FRC teams and four middle school FLL Teams. Funding for this program is provided by the W.K. Kellogg Foundation. Partnering with a local school and Excellent Schools Detroit, this pilot program trains parents to become peer mentors, providing in-class tutoring and assistance. In addition, parent mentors serve as parent liaisons in the school, assisting with truancy reduction efforts, and facilitating literacy activities. Funding for this program is provided by the W.K. Kellogg Foundation. An extension of Padres Unidos and the Parent Mentor Program, this policy advocacy and community organizing group discusses specific leadership and basic community organizing skills to create momentum for educational reform. Funding for this program is provided by the W.K. Kellogg Foundation. DHDC provides necessary services to adults who are returning home from prison and/or are gang involved. Faced with the tremendous challenge of rebuilding a life, program participants learn skills to build on their strengths and ultimately overcome barriers necessary to positively change their lives. Participants interact with others who have managed to lead a drug-free life, stay out of gangs, live a non-criminal lifestyle, and cope with issues around gang participation. Funding for this program is provided by DHDC’s business partners and volunteer work. Dermatologists and certified medical professionals volunteer their time to remove tattoos for people coming out of a prison or gang lifestyle. To receive this service, participants must commit to a gang and drug-free lifestyle. Volunteers provide services bi-weekly at DHDC. 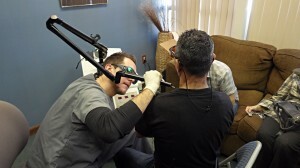 This program is supported entirely through in-kind services from Dr. Eric Seiger and The Skin and Vein Center, and volunteers from Botsford Hospital. The Community Organizing & Advocacy Department is dedicated to working with community members to address systemic issues effecting our community. We integrate leadership development strategies to empower residents to create the changes necessary for our families to thrive to their fullest potential with equitable life opportunities. We aim to create a space where community members can voice their opinions, tackle the challenges they face. Some critical areas we focus on are education justice, social and environmental justice, equitable development, immigrant rights and public policy. •We offer education and leadership development opportunities to increase the capacity of community residents and partner organizations to engage in community organizing, mobilization and advocacy. •Facilitate ways individuals can be empowered to participate in the democratic processes necessary to make an impact on the decisions currently being made for them. •We aim to impact systems change! 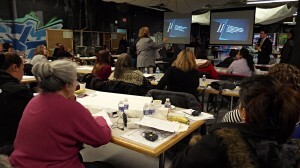 We are developing more opportunities aimed to strengthen the voice of SW Detroit residents and their capacity for leadership, mobilization, and advocacy to raise the Latino voice. ¡Únete! Join Us!